The city of Rome, Italy is one of the oldest continuously occupied cities in Europe with a history spanning more than two and a half thousand years. 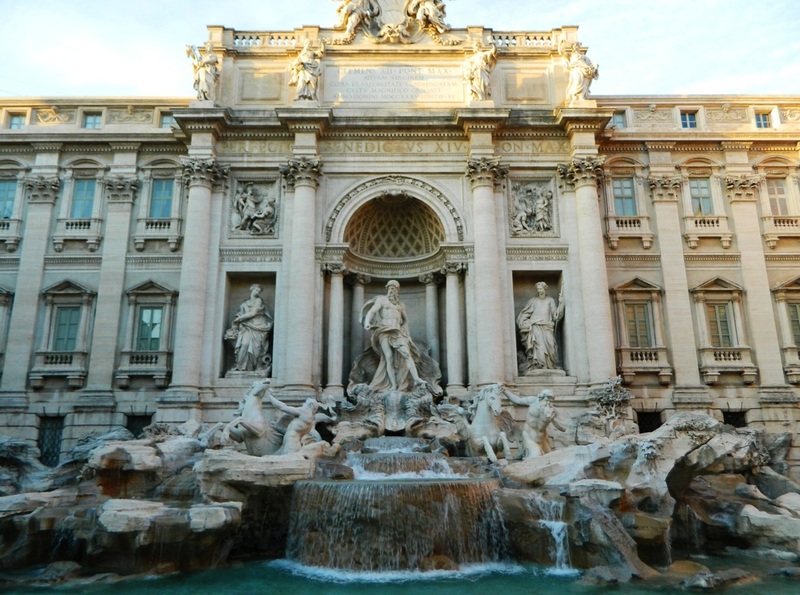 There is so much to see and do, you could travel to Rome every year for a lifetime and not see it all. We tried to see it in four days. 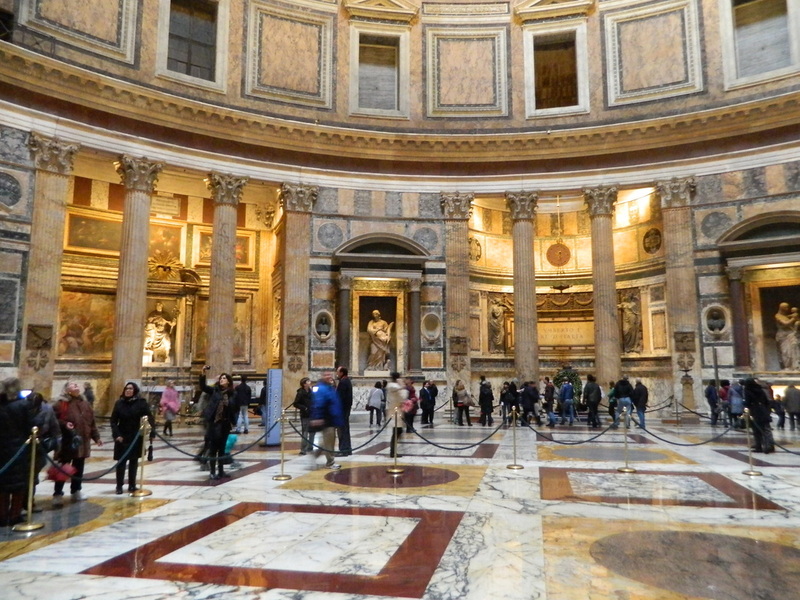 Surprisingly you can cram a lot into four days if you really work at it and we managed to see many of the "highlights," or the main things that come to mind when you think of Rome. 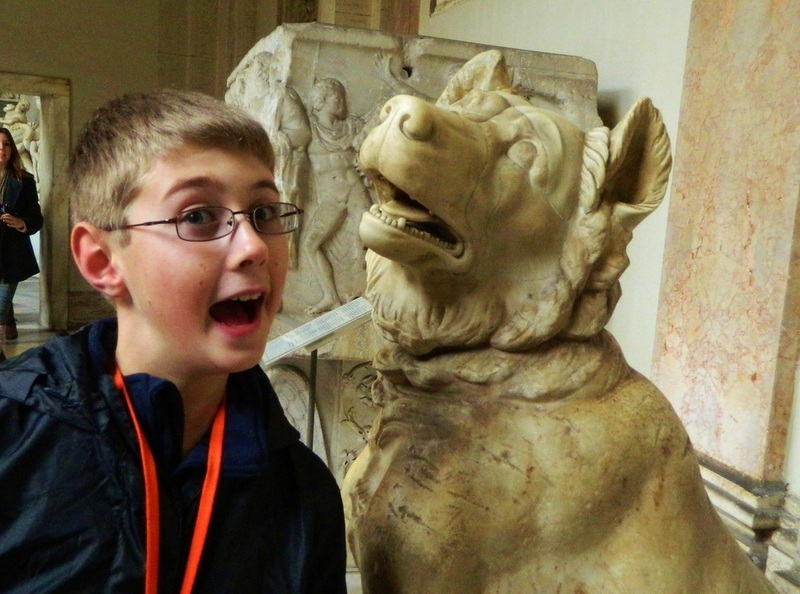 Our time was concentrated in and around Vatican City, the Vatican Museums, and the Colosseum. Oh, and we definitely made time to enjoy as much Italian food as we could possibly eat in four days. First, a bit of history about the Colosseum. The decision to build the Colosseum was made around 70 A.D. by Vespasian, who was the Emperor of Rome at that time. Just a few years earlier, during Nero's reign, the Great Fire of Rome had destroyed the city. Shortly after, Nero died (that's another long story) and as a result the morale and confidence of the Roman people was at an all-time low. Vespasian knew he needed to gain favor with the people, so he had the idea to construct a permanent arena where he could host gladiator "games" and other entertainment for the people to enjoy. Construction of the Colosseum began sometime around 73 A.D. Over 100,000 prisoners were brought to Rome as slaves after the Roman-Jewish War and were forced into manual labor for the building of the Colosseum. Slaves handled the "grunt" labor such as quarrying and carrying the large stones (travertine marble from Tivoli) 20 miles to the construction site. 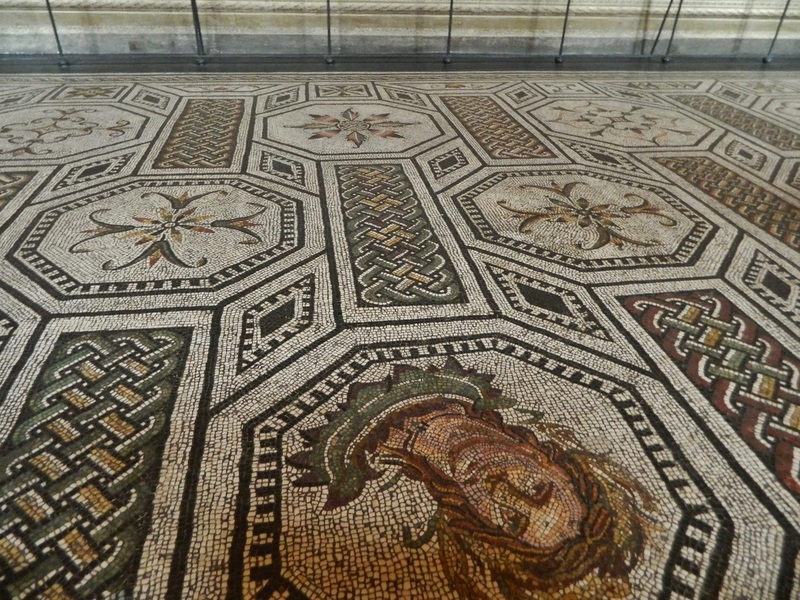 Professional Roman builders, architects, engineers and artists undertook the skilled tasks of the project. Riches stolen from Jerusalem during the war are what funded the construction, and no expense was spared. Construction was nearly complete just 6 years later in 79 A.D. when Vespasian died. Vesapasian's son, Titus, oversaw completion of the building and the inauguration games in 81 A.D. Partial reconstruction of wooden stage floor which, back in the day covered the entire oval area, concealing the entire lower level. 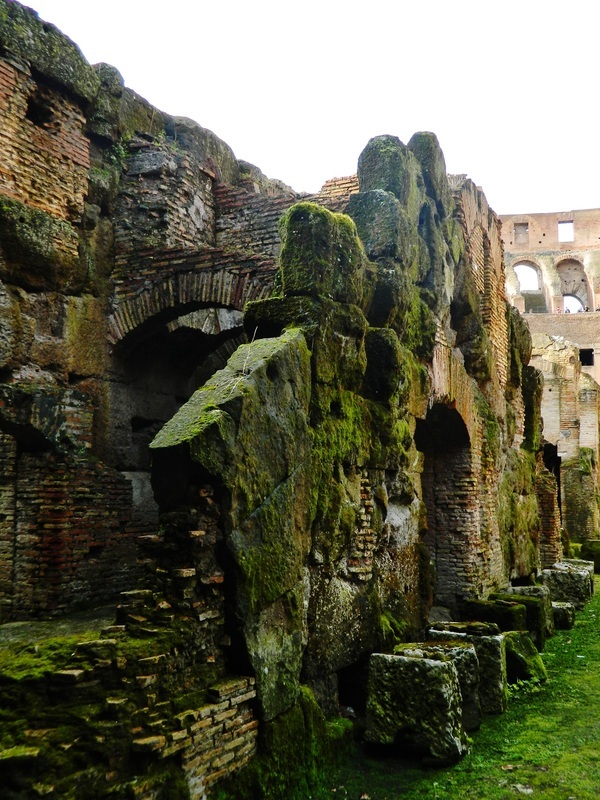 An earthquake eventually destroyed the Colosseum, but much of the debris that fell off completely covered portions of the lower level, so they have been virtually untouched and remain exactly as they were when the Colosseum was in use. 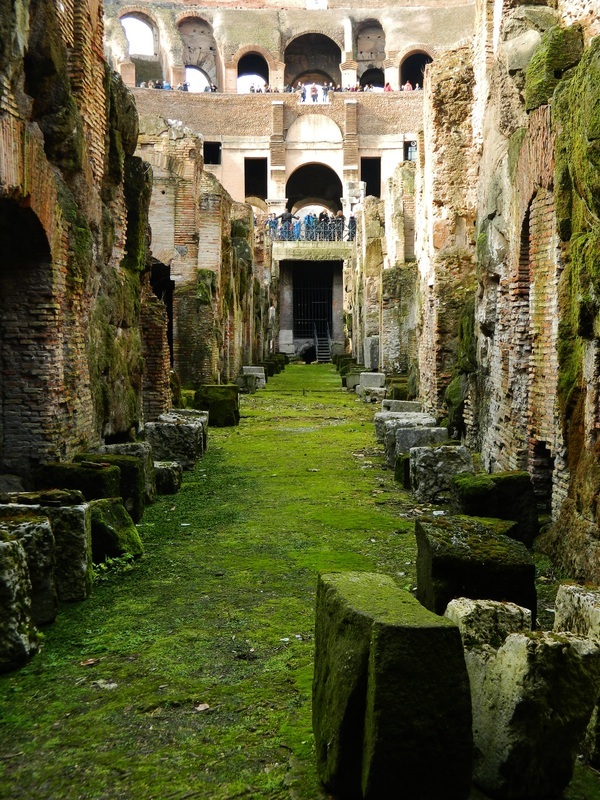 View of some of the many tunnels which zig-zag the entire Colosseum floor. We took a guided tour of the Colosseum because we wanted to see the upper and lower levels as well as the "main" floor, and these levels are only accessible with a tour. It didn't cost that much more for the tour and it was completely worth it. We booked our tour ahead of time through tickitaly.com. The lower level was particularly interesting. The top picture shows a partial reconstruction of the stage floor, which was made of wood, and covered the entire arena area. Underneath this floor was a series of tunnels (see above) where men worked during the shows. It was completely dark under the stage, and workers had only torches to provide light. Since the stage floor above them was wood, fires were commonplace, many each night, and just one of many hardships these workers endured. On top of the wood stage floor was a layer of sawdust and sand to absorb the blood and bodily fluids from the gruesome fights...sand and dust was always falling through the cracks onto the workers below, making an already difficult situation worse. To wow the crowds, the Emperor routinely had wild animals secretly shipped in from Africa and they would appear onstage at precisely timed moments to shock and amaze the spectators. Elephants, tigers, and giraffes were secretly shipped over, and under the cover of darkness, were moved from the port to the Colosseum through a series of underground tunnels so as to keep it a secret from the people. During the shows, men operated manual elevators, like a pulley system, to raise the animals up to the stage and release them through trap doors at just the right moment to wow the crowds. In many cases, spectators witnessed a fight to the death...man vs. tiger, man vs. elephant, etc. These live "hunts" were massacres, witnessed by 75,000 spectators. In most cases (about 90%) gladiators were prisoners who had been sentenced to death and were literally fighting for their lives. If they could survive in the gladiator ring, they had the chance to be granted freedom by the government. This made the fights all the more intriguing and captivating. A small percentage of gladiators fought by choice, as a career, and were highly trained. Gladiator "games" could go on for days or weeks, and were very expensive to host. The Colosseum had 5 levels of seats, and people were seated at events according to class and status. Women ranked lowest, tied with the derelicts of society and were allowed only at the very top level, commonly known today as "the nosebleed seats." 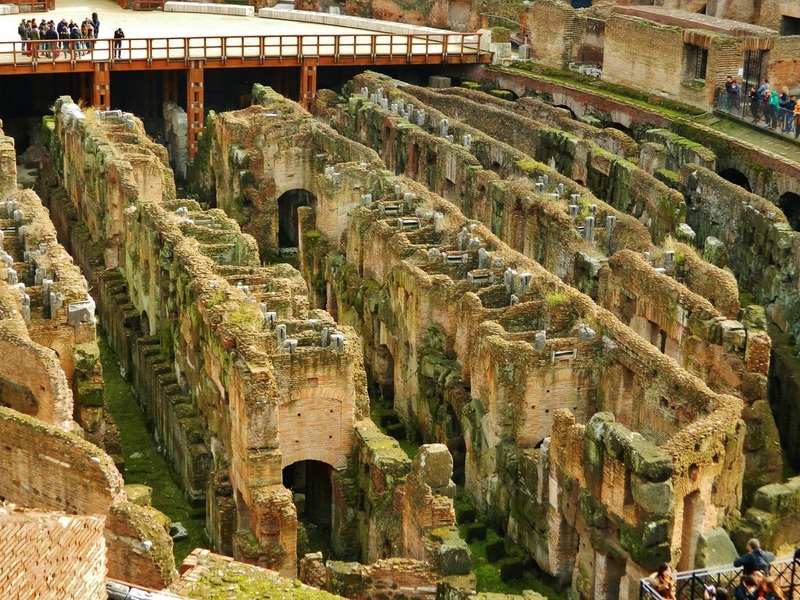 It has been estimated that around half a million people were killed in fights in the Colosseum, and that at least a million wild animals were killed. Researchers estimate that over 5,000 animals were killed during the Colosseum's inaugural games alone. Over 30 different types of gladiators have been identified, and evidence of female gladiators has been confirmed through human remains found at the Colosseum site. 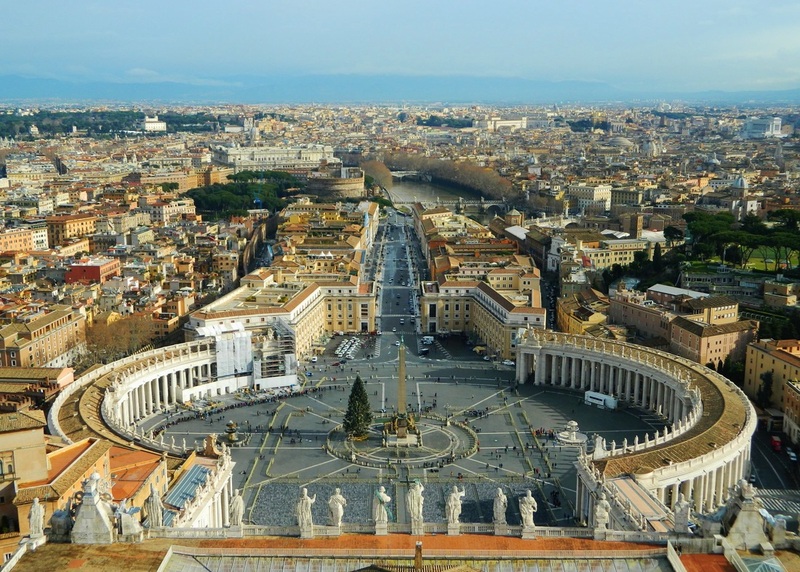 Vatican City State, or Vatican City as it is commonly called, is the smallest independent state in the world, both in terms of area and population. 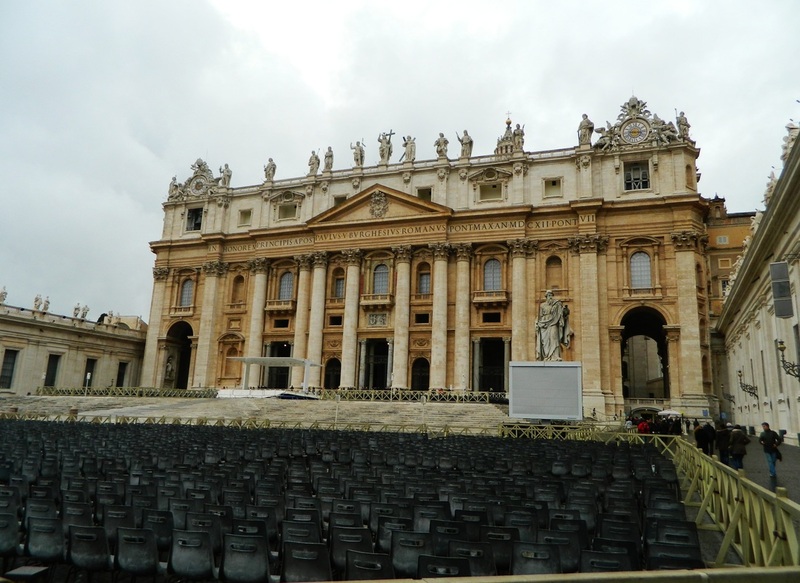 At last count, the population of Vatican City was somewhere in the neighborhood of 840 people. 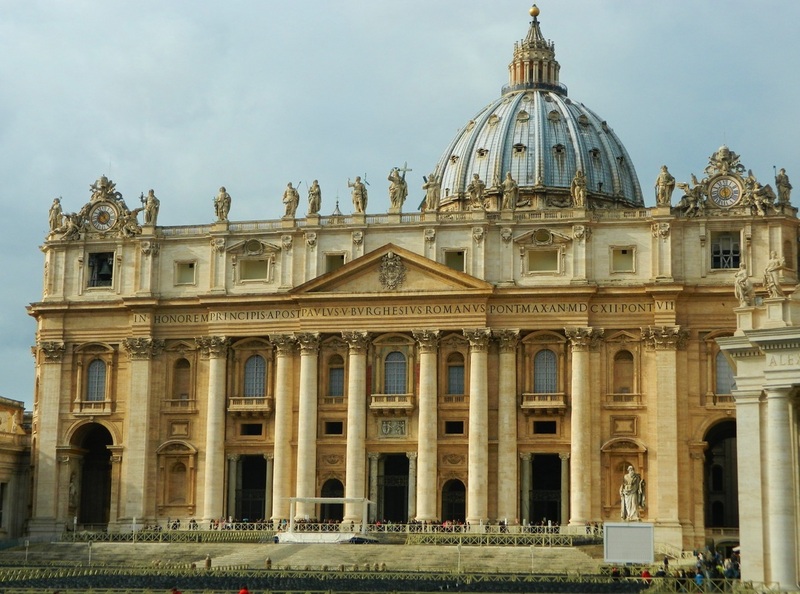 Vatican City State is home to the Holy See which is the central government of the Roman Catholic Church. 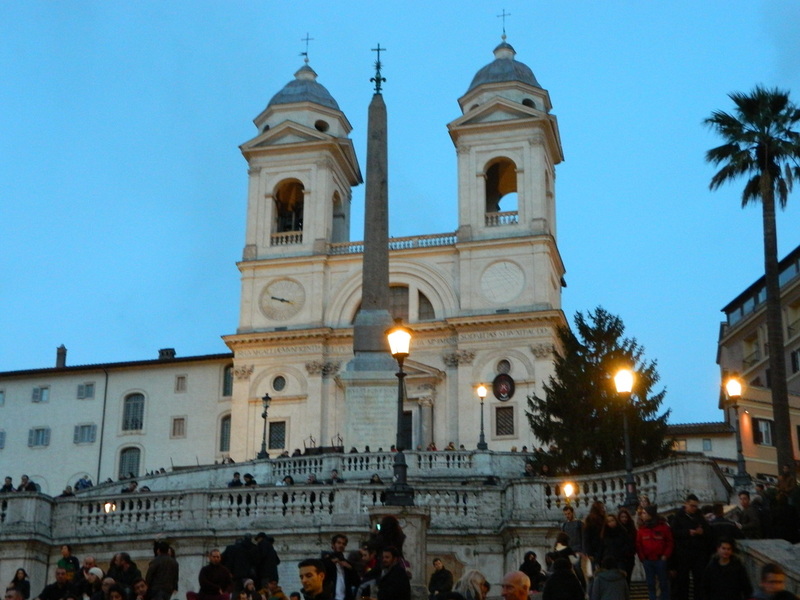 The term Holy See comes from Latin meaning "seat." 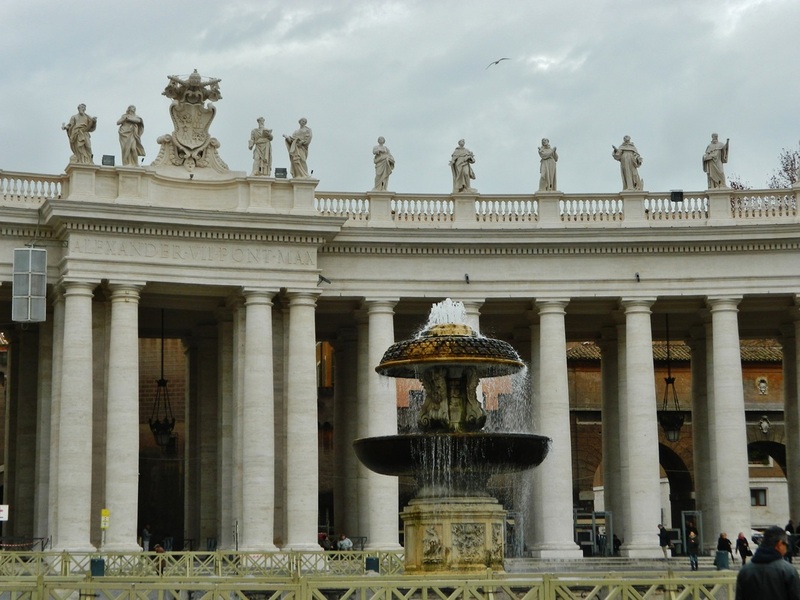 While most people refer to the Vatican as synonymous with the Holy See, in fact the Holy See was there long before Vatican City State was formed. 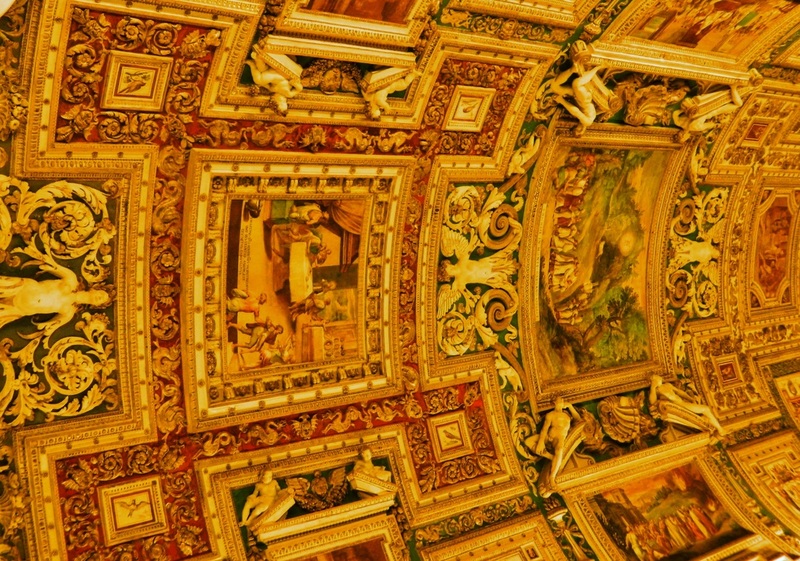 Vatican City State was established in 1929 as a result of a pact between the country of Italy, and the Holy See. It is a sovereign State distinct from the Holy See and is universally recognized under international law. 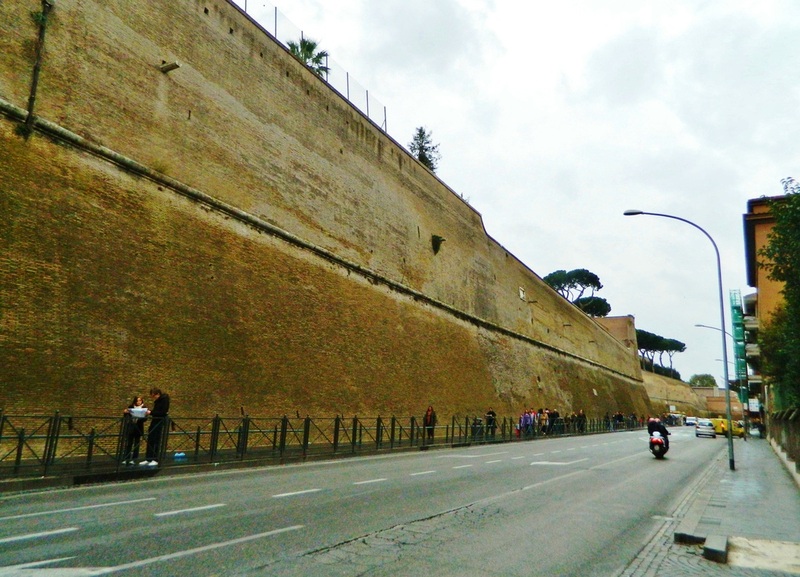 Vatican City is surrounded completely by a tall wall that creates physical and visual separation from the city of Rome. 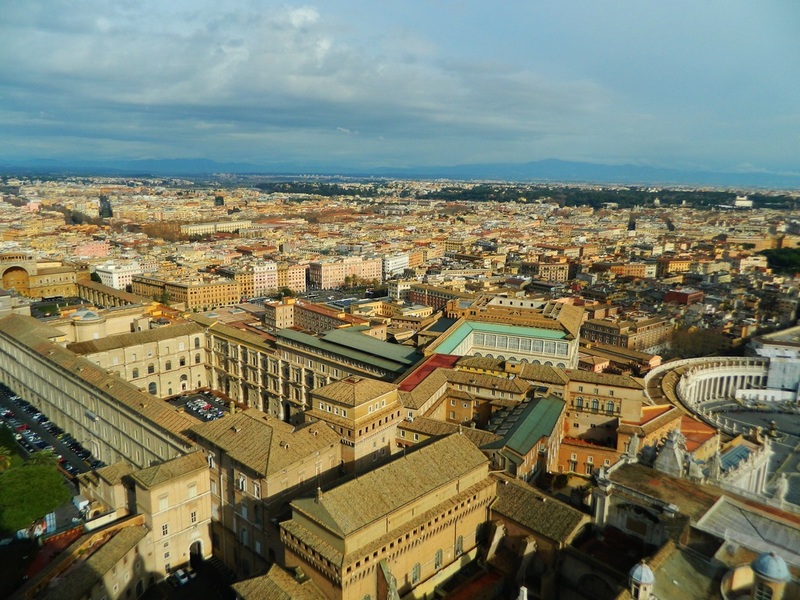 Once inside the wall, St. Peter's Square, St. Peter's Basilica, and the Vatican Museum complex are all in close proximity. 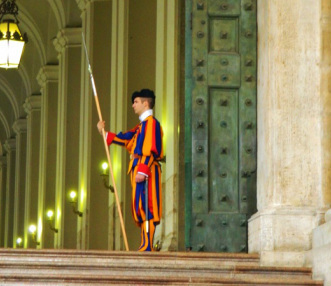 To read more about Vatican City State, check out their website! 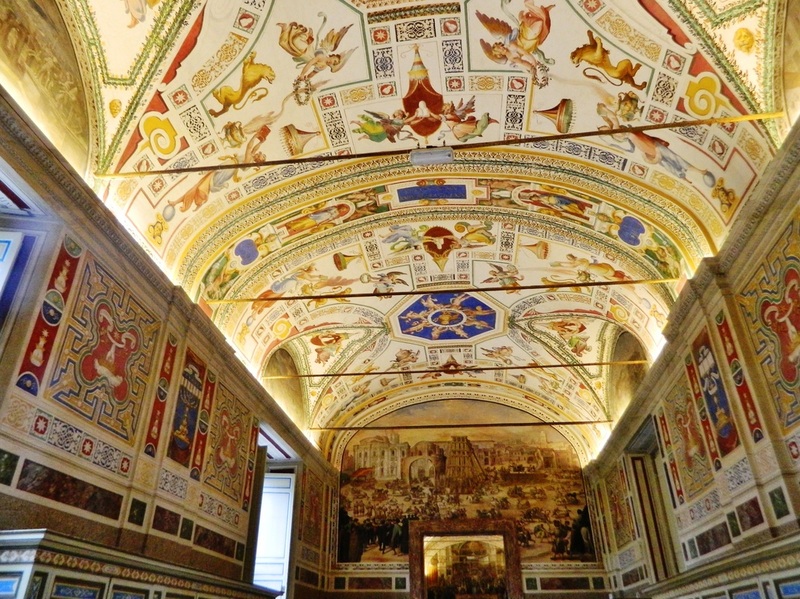 The Vatican Museum complex consists of 54 separate galleries, all housed under one roof, and contains some of the world's most important pieces of Renaissance art. 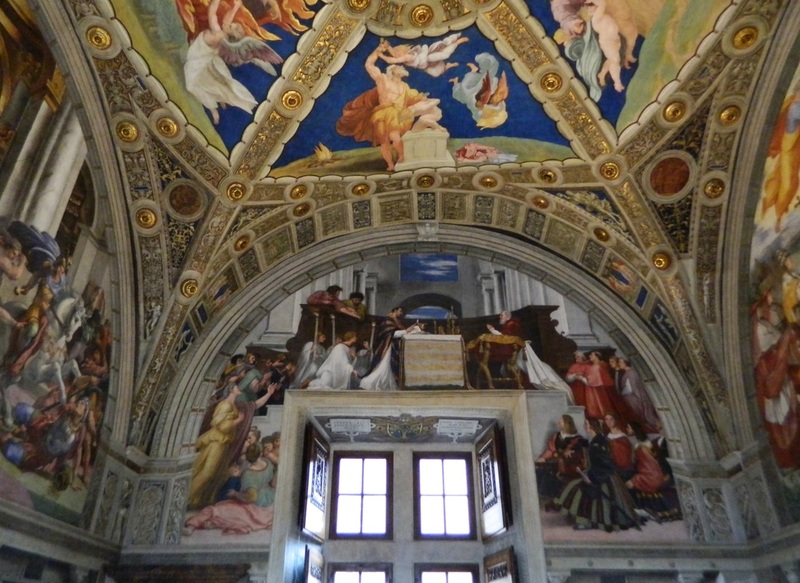 If you go through the museum in "order," the Sistine Chapel is the prize that awaits at the end. 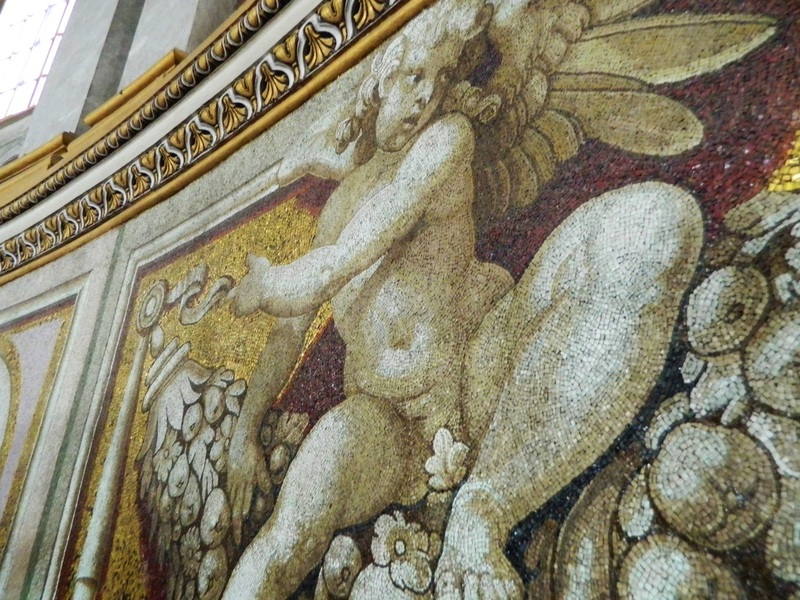 The museum is so full of historical artifacts and such a wide variety of art styles from sculpture to paintings to tapestries to mosaics that it can definitely be overwhelming. 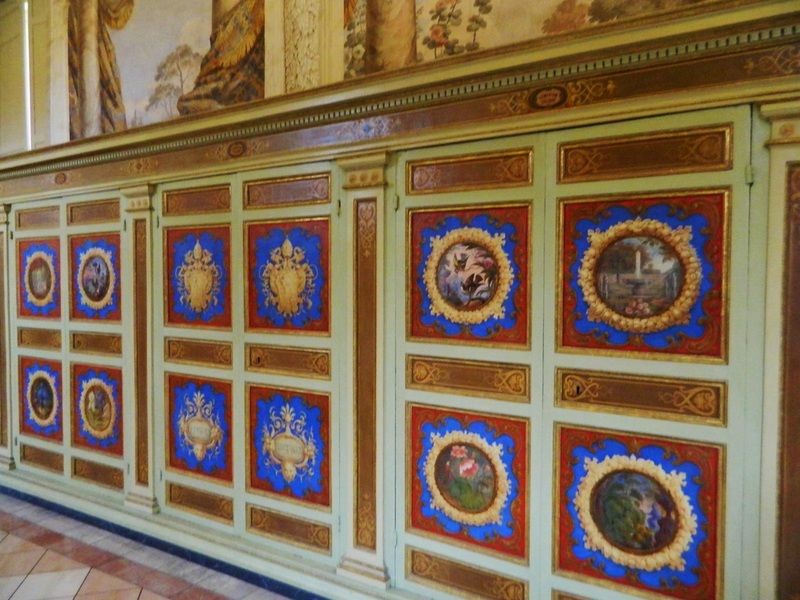 Each ceiling, wall and floor is a work of art all its' own. No photos are allowed in the Sistine Chapel, and no talking, which is kind of nice because then you are forced to just sit and really soak up the atmosphere and think about the history. It's all very beautiful, and very interesting... There does come a point, however, where you start to lose it...and you start doing things like this... Gelato is a good remedy. 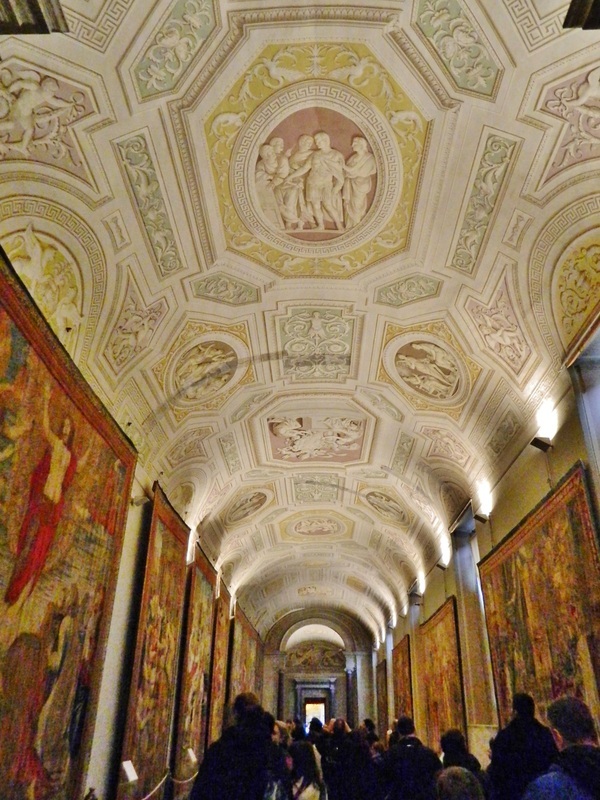 One last thought on the Vatican Museums...most websites recommend that you purchase tickets ahead of time to "skip the line." We did this, as recommended, but found that in Winter, if you get there in the morning, there is virtually no line. 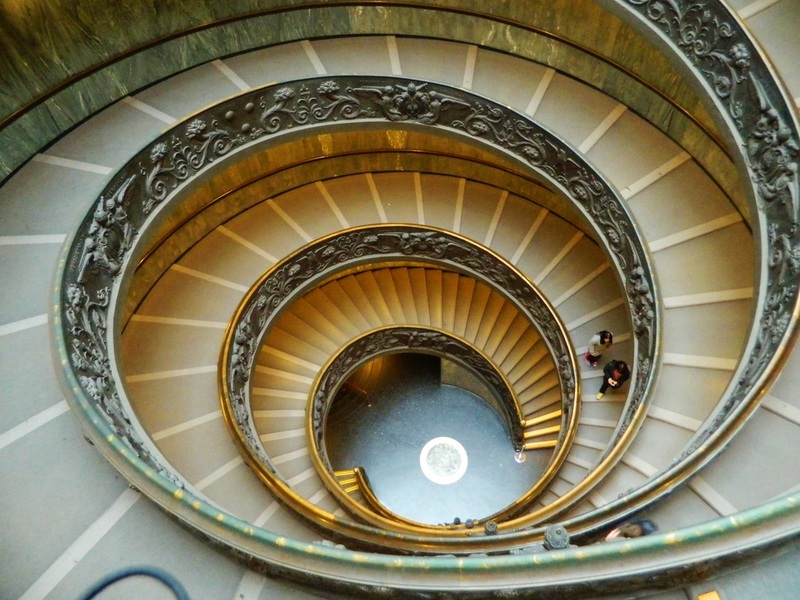 Check out the Vatican Museums website to purchase tickets ahead. We booked with a tour and paid more than necessary--aside from the ease and comfort of being escorted as a group inside the museum and having our tickets picked up and distributed to us, there was no benefit to booking with a group. Next time I would deal with the museum directly online to skip the line if there is one, but not over-pay. We got lucky to have an opportunity to see and hear Pope Francis when we were there...check his schedule before you go to see when he will be addressing the public. It is an awesome experience. People came from all over the world to see and hear him, and the atmosphere in the square while we were waiting was so amazing. Nothing but joyful anticipation. 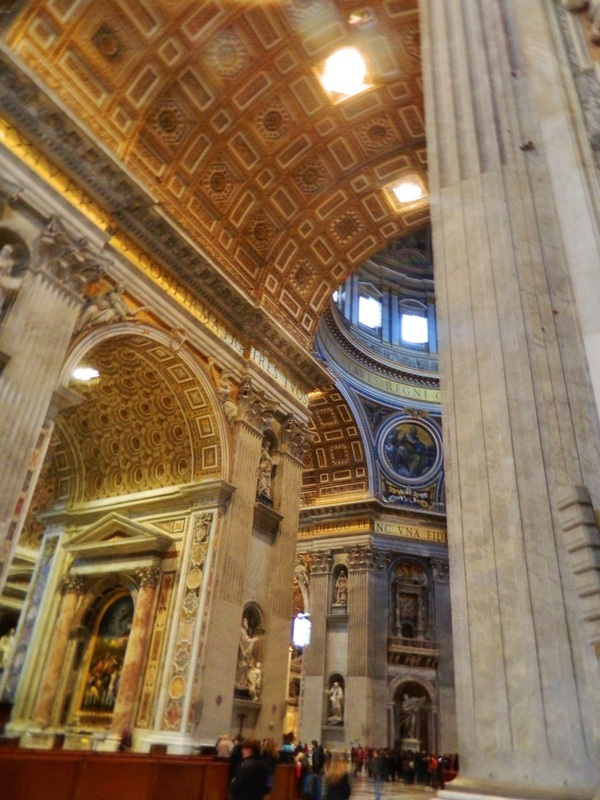 Entrance to St. Peter's Basilica is free, but be prepared to wait in line to pass through metal detectors on the way in. And,like airport security, you will be asked to place your bags on a conveyor where they will be visually screened before you can go in. 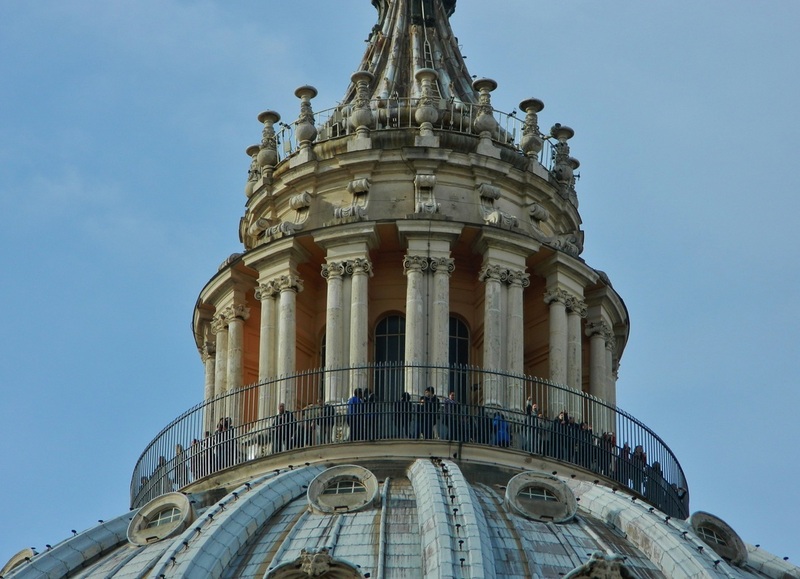 If you want to make the trek to the top of the cupola (which I highly recommend because you can see all of Rome from there) it costs 6 or 7 euro. Wait for a nice day, though, otherwise you won't see much. You can take an elevator part way, and then climb the rest, or walk all the way up. The stairwells get more and more narrow and slanted as you near the top, but don't panic...just when you think you might get stuck, you're there! St. Peter's Square from the top of the cupola. From the ground floor, what look like paintings on the interior of the dome are actually mosaics...another benefit of making the hike up to the top...I never would have known unless I saw it up close! 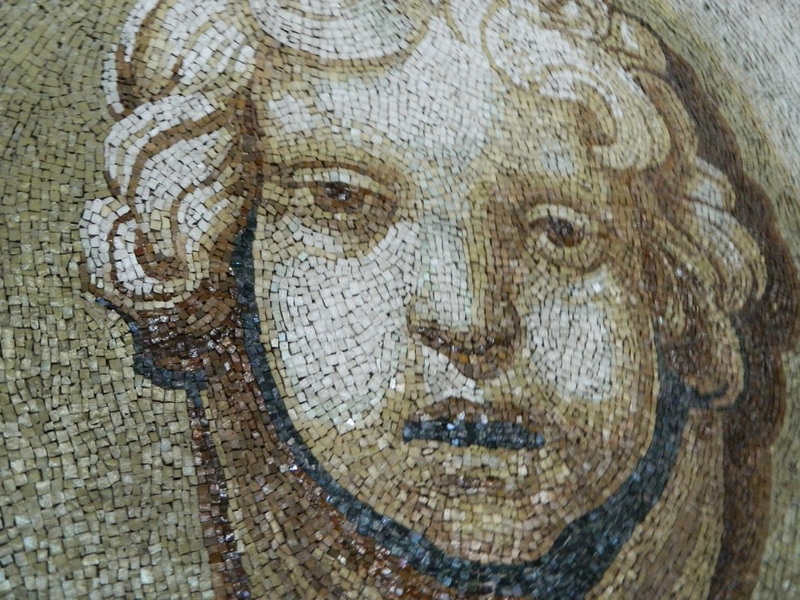 Detail of one small section of mosaic. The amount of work to create this place is incomprehensible. 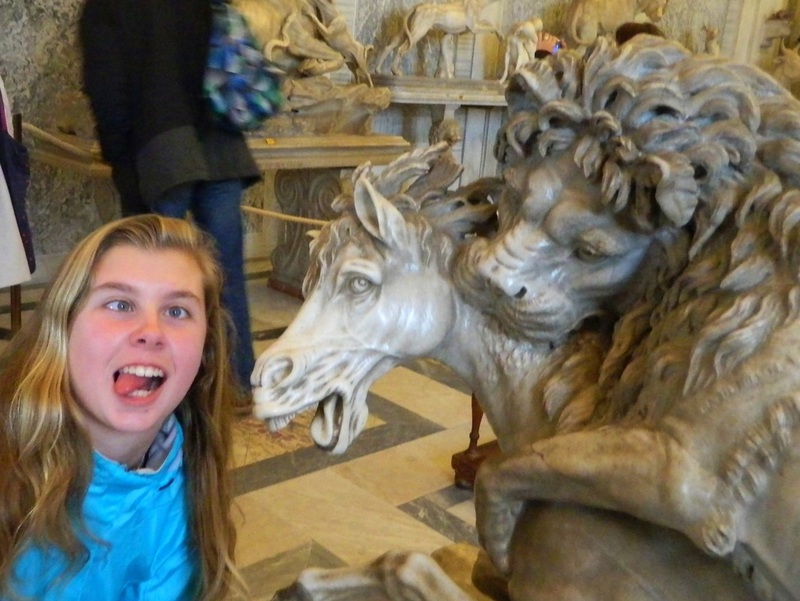 We also took in the Pantheon, Trevi Fountain, and the Spanish Steps...all must sees on a whirlwind Rome trip. As I said before, you could spend years in Rome and never see it all, but it's definitely worth the effort to see as much as you can. As for food, my advice is to eat as much of it as you can! Enjoy the fresh, homemade pastas, the thin and deliciously simple pizzas, and of course tiramisu for dessert! Favorite restaurant of our trip was Sora Lucia near Trevi Fountain...look it up on Tripadvisor. Delish. Ciao!